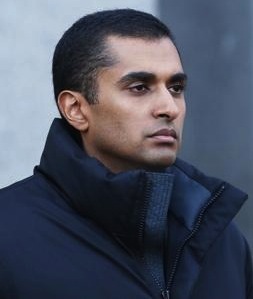 On Thursday, a federal jury found Mathew Martoma guilty of insider trading. Martoma, who’s only worth a hundred million or so, is small potatoes. He’s taking a fall for his boss”“and his boss’ mommy”“and her monkey. Martoma’s boss is Steven A. Cohen, worth about $9 billion, who directs a criminal enterprise masquerading as a hedge fund called SAC Capital. The description of SAC as a crime scene is drawn from the findings of the jury, Securities and Exchange Commission charges and Cohen’s own confessions. While eight of Cohen’s partners-in-crime have been convicted and Martoma is about to join them in the Big House, Cohen has performed enough ju-ju on the system to keep charges filed against him personally to civil, not criminal, counts. So far. Why would a guy who’s stuffed billions of dollars of tainted money in his pocket risk SEC charges just to get another billion? The answer: Steve needs to make his mommy’s monkey jump. The story’s a lot of fun”“and extraordinarily important, as Congress decides between tax breaks for “job creators” like Cohen and extending unemployment benefits for their victims. Greg Palast’s new film Vultures and Vote Rustlers was released recently.